I can't login to the booking system. What do I do? If you receive an error message when trying to create an account for the first time in the booking system, or you just simply can't log in, here is what to do. 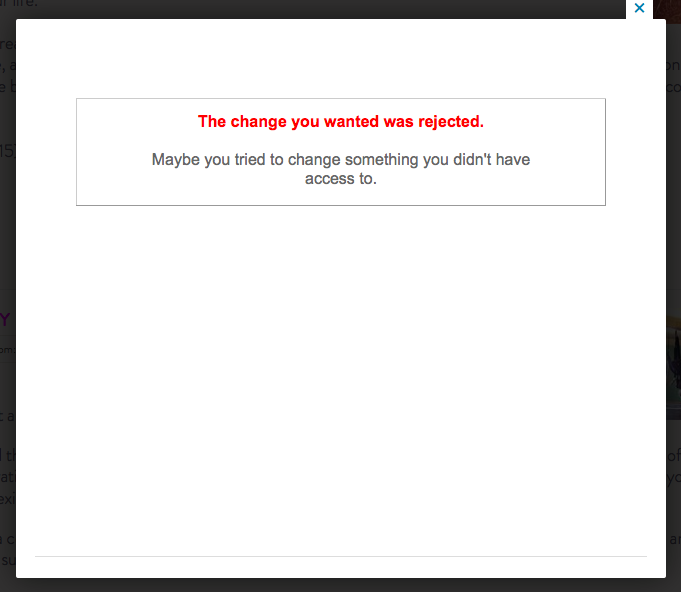 This error message is caused by security settings in your web browser. 1. 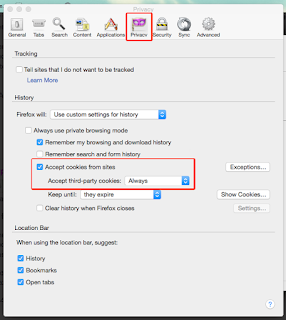 Go to Firefox and then Preferences. 3. 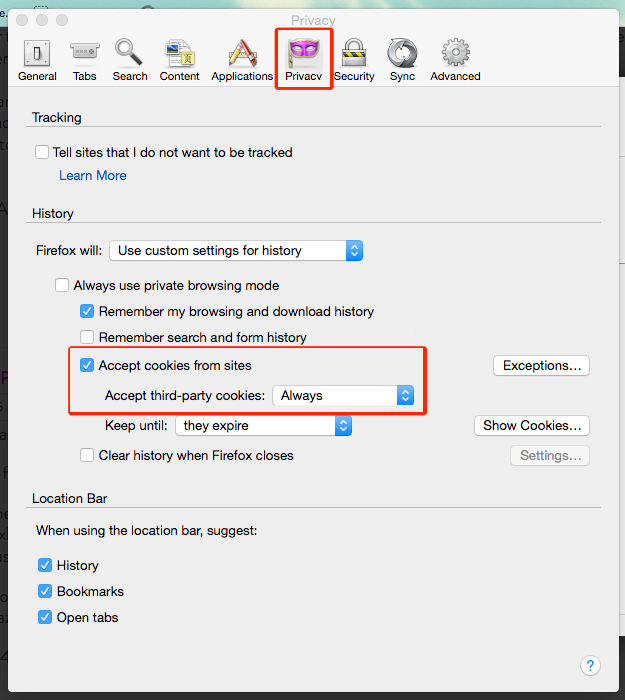 In the "Accept cookies from sites" section, choose to accept third-party cookies either Always or From visited. 4. Close and reopen Firefox. 2. 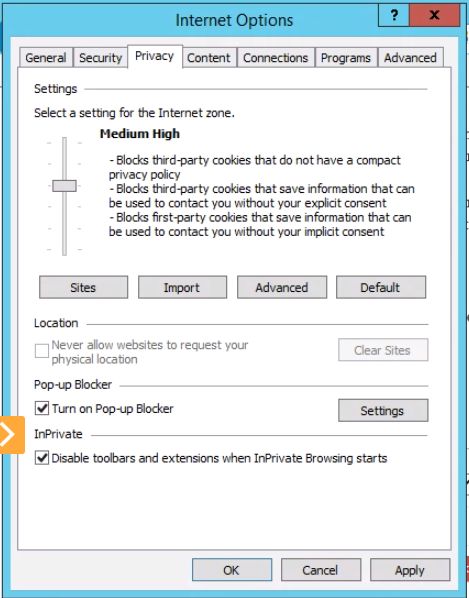 Go to Tools and then Internet Options. 4. Set the slide bar to Medium High or lower. 6. Close and reopen the browser. 1. 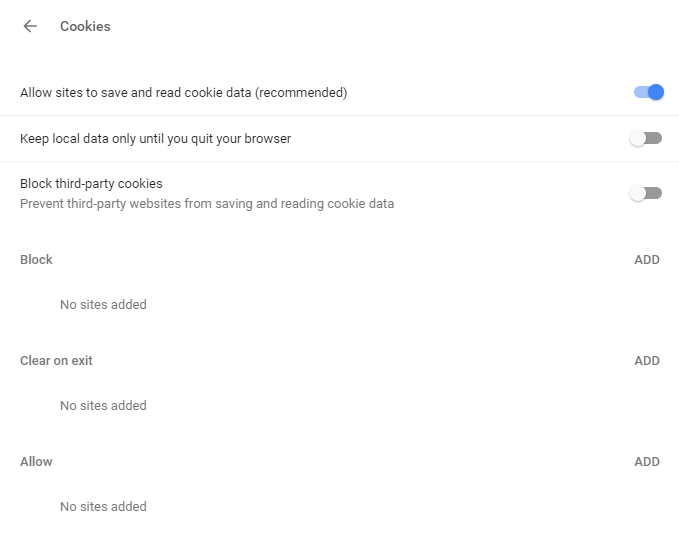 Go to Chrome and then Settings. 2. 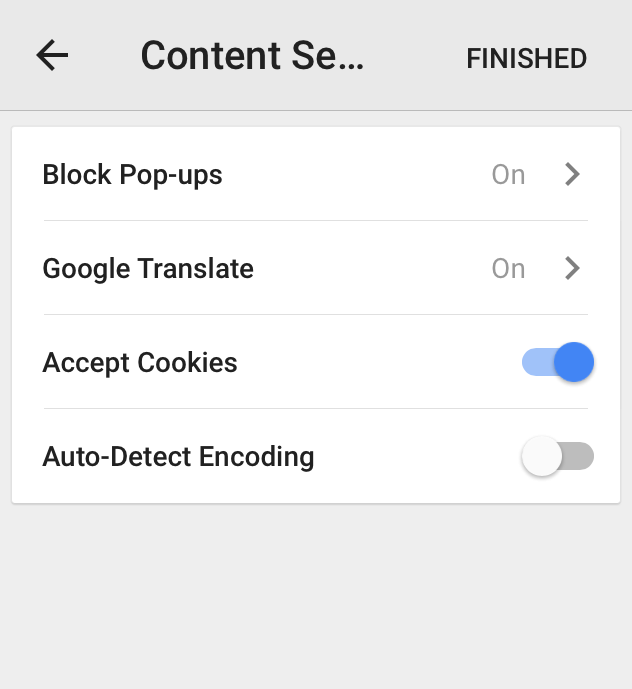 Go to Content Settings. 5. Close and reopen your browser. 2. 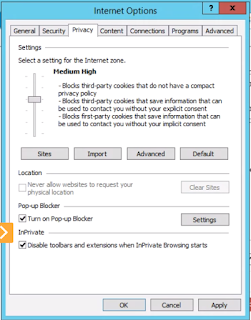 Click on Show Advanced Settings at the left side of the screen. 3. Go to Privacy and Security. 4. 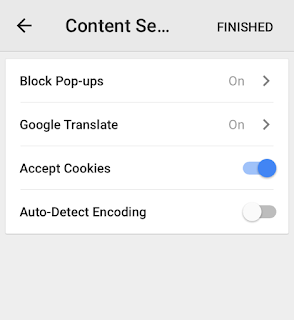 Scroll down and click on Content Settings. 6. 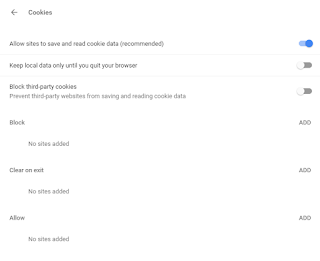 Under Cookies, select either Allow sites to save and read cookie data (recommended) to be set or Keep local data only until you quit your browser. 7. Close and reopen your browser. If you still receive the same error message, please send an email to viktor@danceandhealth.com and we'll be able to help you.